The entire route is about 825 km from its starting point in Irun on the France/Spain border. In 2017 almost 18,000 pilgrims travelled this Way which represented barely 6% of the total of all pilgrims walking or cycling to gain a Compostela in Santiago. 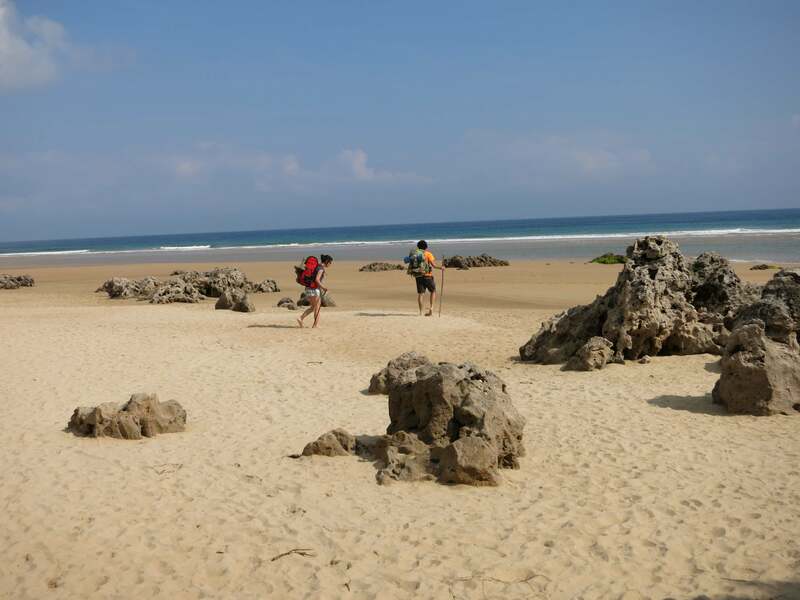 The terrain can be challenging especially at the start where the path follows the coastal plain and navigates across a number of rivers and creeks. A comfortable timetable to complete this walk will be between 5-6 weeks for most pilgrims. There are tremendous cliff-top views in places and also many stretches where you will be out of sight of the sea. There is some road-walking , but there are also quite a lot of mountain tracks.The first stages of your journey will take you on mountain tracks to San Sebastian, where you will find the Basilica of Santa Maria del Coro in the old town, one of the most visited architectural structures of the Basque country, the Buen Pastor Cathedral. Bilbao is another 150km along the coast. The Gothic 14th-century Santiago cathedral and, for art-lovers, the Guggenheim museum are two of the famous attractions here. You have a choice of three routes on the 90km section from Bilbao to Santander. The alternatives start at Laredo, when you may follow the coast to Galizano and catch the ferry at Sumo, cut across the land route through Orejo and catch the ferry at Pedrena, or follow the road to Galizano, the walk via Solares to Santander. Santander is the capital of Cantabria, its cathedral, the Cathedral del Cristo is as wonderful inside as its exterior suggests, but you should visit the Magdalenas Peninsular with its magnificent beaches, the park and the little zoo. Or take the 4km walk from the city centre to the lighthouse along the sea-front beaches. From Santander to Gijon is 160km along the coast, but along the way is Villaviciosa. Here, there are variations on the route. Some people go to Valdedios to visit the monastery and go on to Oviedo to link up with The Camino Primitivo to Lugo. Others continue on the Camino del Norte, walking the 100 km on the coast road from Gijon, though the delightful fishing village of Luarca , to the beaches of Ribadeo, before leaving the coast to go south to Vilalba. The most popular of the four pilgrimage routes, over 181,000 people travelled on this Camino in 2017. This figure equates to 60% of all walkers and cyclists who gained a Compostela that year. Accommodation is at a premium because it is very popular, so early planning and booking is essential. 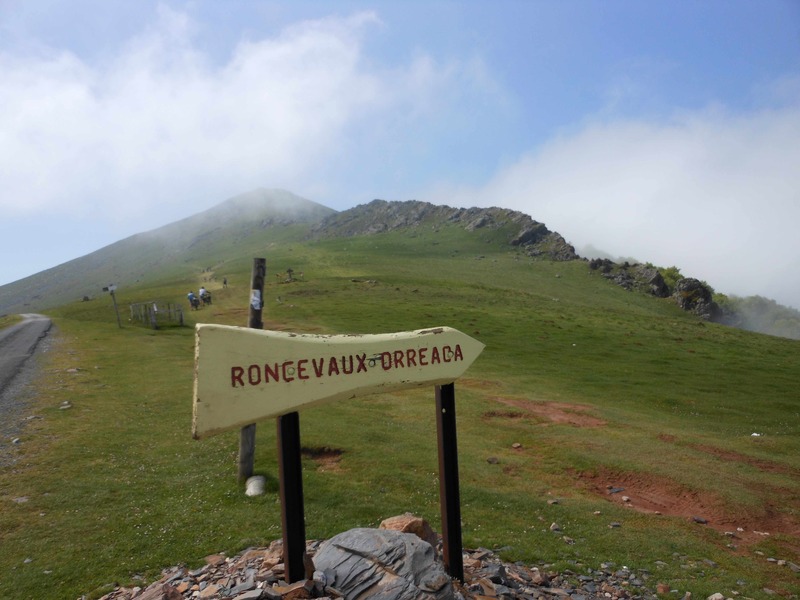 This first part of the walk has been described as the hardest of this route, 27km to Roncesvalles, climbing 1300 metres into the Pyrenees, crossing into Spain. Roncesvalles is little more than a village, so on to the first major city on the walk, Pamplona, site of a magnificent cathedral and famed for the “bull run” that occurs at the St Fermin festival on 7th July. The tapas here is highly recommended, but it’s not cheap. 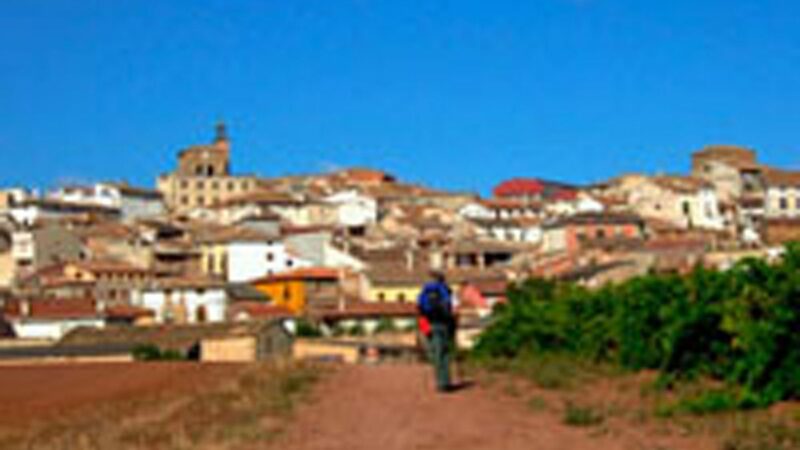 24 km after leaving Pamplona, the route joins another Pilgrim’s Way at Puenta la Reina, “the crossroads of the ways”. Apart from its churches, the most breath-taking structure is the Romanesque bridge over the River Arga. Continuing eastwards, for another 200 km, is the city of Burgos. Burgos itself is a wonderful city, boasting a magnificent cathedral and two monasteries; it was once the capital of Castile. Burgos Cathedral is the burial place of the 11th-century warrior Rodrigo Díaz de Vivar, better known as El Cid. From Burgos the path enters the tableland or meseta which is a flat mind numbing stretch of land filled with fields of wheat and corn and very few villages to stay at. A little over half of the walk will have been completed when you arrive at the major city of Leon. Here the cathedral is famous for its original stain glass windows which cover almost 1800 square meters laid end to end. From here the route climbs over the mountain pass at Irago and then goes on to Ponferrado. Now you have only 200 km to your destination. It's hour that the route takes you past one of the most spectacular of the Templar castles. At O’Cebriero you enter the mystical region of Galicia where you will almost certainly find colder weather and rain. The best time to walk the Camino Frances is April to June or September and October. At the height of summer, it is very hot and torrential rain falls in Galicia. In the winter, it will snow almost anywhere along the route and rain heavily. 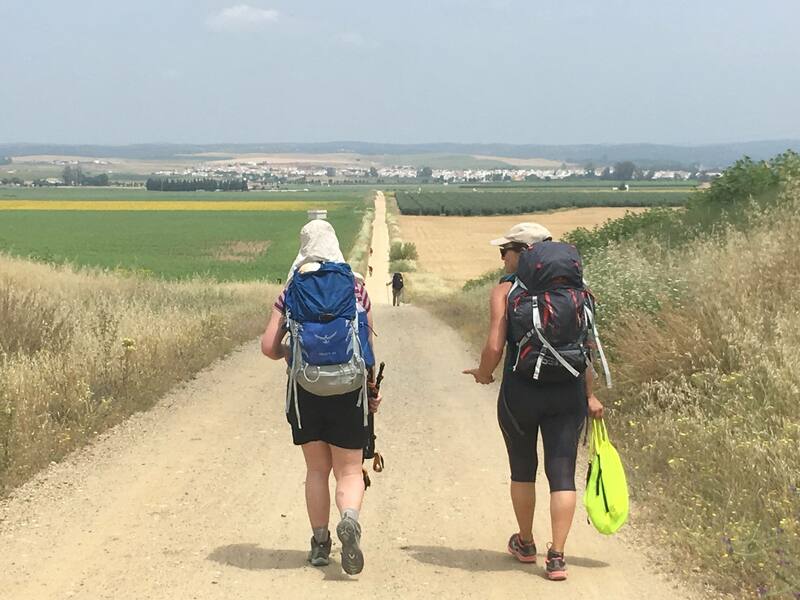 It is over 1,000 km from its starting point in Seville and the number of pilgrims who gain a Compostela from walking the Via de la Plat, barely 9000 is less than 3% of the total number of travellers to Santiago. The walk will take between 6 to 8 weeks and there will be some long days walking with little signs of life between the pueblos. The terrain up until Astorga is not very difficult with only a few difficult climbs though the distances between towns and villages are often very long. After Zamora, as you enter Galicia the walk becomes harder and at times quite strenuous, with many steep climbs and descents, over 1300m in some passes. The route starts at the cathedral at Seville and from Andalusia we move to the region of Extremadura . This accounts for almost 200 kilometres of your journey. During this time you will have experienced walking on an old Roman road and had the opportunity to visit the Roman ruins, including an amazing aqueduct, a theatre an amphitheatre and remains of the Circus Maximus in the old Roman city of Merida..
Another 75km of walking brings you to Cacares, where you will enjoy the many splendid churches and palaces of this wonderful old medievil city. The next major city is Salamanca a further 200km on and this marks the halfway point of your Camino. The trail is through a variety of terrain, from woodland to meadows. 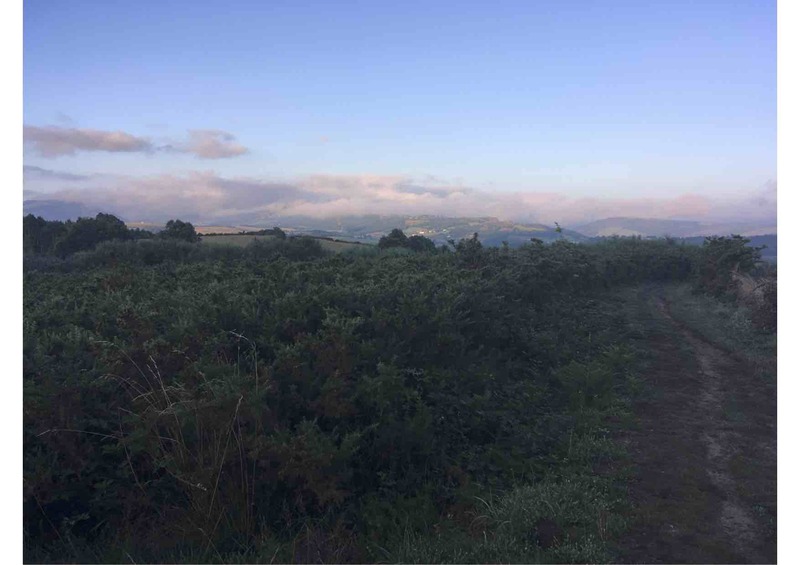 From Salamanca the trail moves to Zamora, the capital of Castille-Leon and then into Galicia and the pilgrim travels through low mountains with the most spectacular views of the whole Camino. From A Gudina, you can take the northern or slightly longer southern route to Ourense and visit the Old City for its cathedral, churches, convents and city hall, but also see the ponte vella, the old bridge over the River Mino for an example of 13th and 17th century civil engineering. At Ourense, both routes converge for the final 110 km to the end of the Camino. The Camino Portugués is about 620 km long from its starting point at Lisbon Cathedral and ending at the Cathedral at Santiago. The route can be broken into two stages, Lisbon to Porto, 390km, and Porto to Santiago which is almost 230km. While historically this route starts in Lisbon nowadays less than 1000 pilgrims will start there journey from here. From Lisbon to Porto there are very few alburgues or infrastructure and the walking is mainly on minor roads and footpaths. For this reason this stage is not well populated by pilgrims. However the picturesque university town of Coimbre and the Marian Sanctuary at Fatima are two great highlights for those who do decide to start from Lisbon. In 2017 nearly 60000 pilgrims walked this Camino Portugués, with Porto and Valencia/Tui being by far the most popular starting points. This figure represented almost 20% of the total pilgrims walking this Way to Santiago. If you are journeying from Lisbon Cathedral the path takes you along the river Teja, through farms and vineyards and eucalyptus forests, through hamlets and Roman ruins until eventually arriving at Coimbre. In this old town are two cathedrals, the Se Velha and Se Nova. The “new” cathedral dates from the 17th century, while the old is from the 12th. Besides the cathedrals, the crowning point of the city is the University of Coimbre, but you should also visit the Botanical Gardens and the Portugal dos Pequenitos, the model town that has miniatures of houses throughout Portugal, including Lisbon’s House of Diamonds. Fatima is a detour from here but well worth a visit and remember almost 4 million pilgrims will visit this sacred shrine every year. 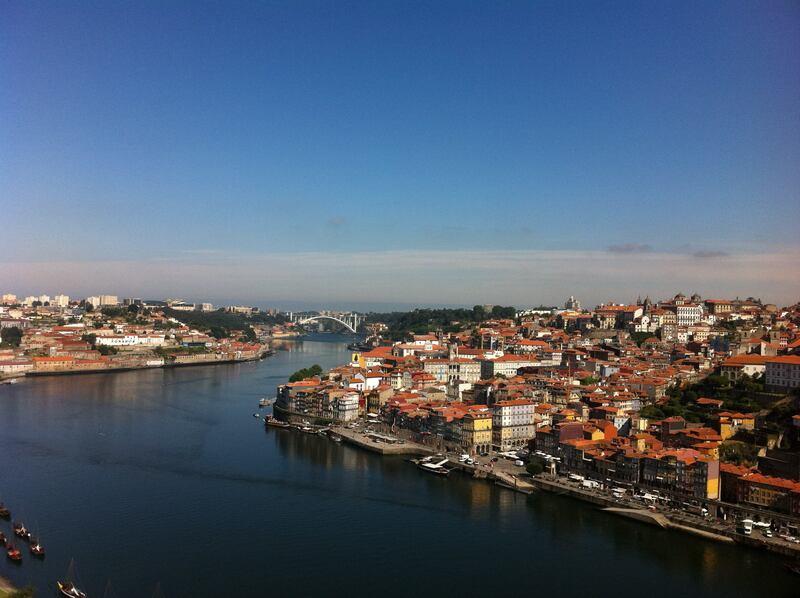 After another 140km you will arrive at Porto, an incredible old city that could leave you breathless. Porto, with its baroque cathedral, and old town, is an amazing city and well worth a few days to explore. The old city is full of wonderful buildings and monuments and exciting bars and cafes. It is 120km from Porto to the Spanish border town of Tui, through forests and gentle countryside and with generally easy walking until the crossing of the River Minho past Valencia into Spain. Tui is essentially a walled cathedral, a Romanesque-Gothic fortress from where Spain kept its eye on neighbouring Portugal, sometimes her friend, sometimes her enemy. Now, with both countries being in the EU, neither is likely to declare war on the other. Also in Tui is the Convent of Santo Domingo, plus spectacular views of the Vigo and Louro valleys. The last stage of the route takes you on main roads and country paths to Arcade, from where you go through woods and farms to Padron. From Padron there is a relatively short walk until we reach the outskirts of Santiago and a chance to take our boots off and shed our backpack for one final time!